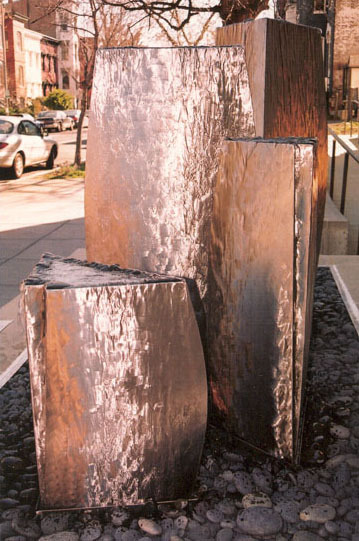 The sculpture is comprised of five elements, which are bulbous shapes that stand in a bed of smooth black stones. 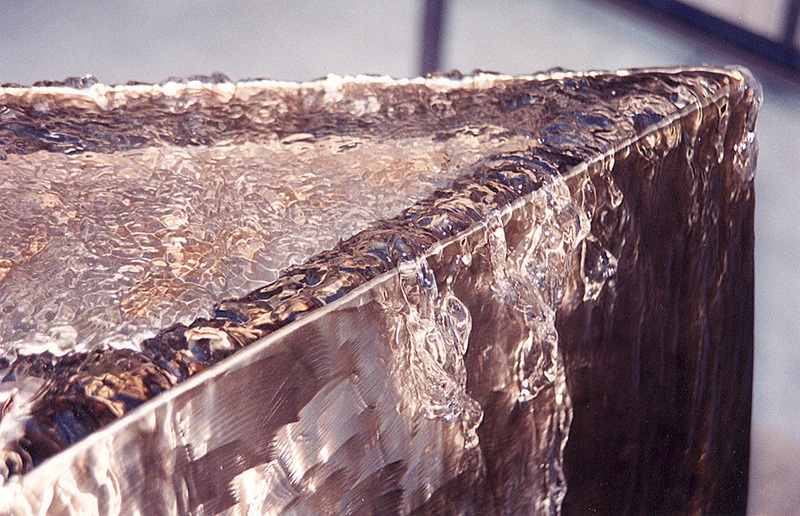 Water emerges at the top of each component, with a generous volume of water sliding down its surfaces, creating turbulent water patterns along the brushed stainless steel finish. Lighting is projected upwards from the stones, creating partially lit surfaces, and thus an intimate and quiet ambiance at night. Created for the Jewish Community Center of Washington, DC.